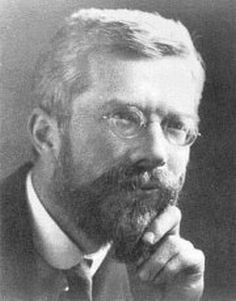 Apart from his central role in the development of the field of statistics, Fisher was among the most prominent of twentieth century workers in the fields of genetics and statistical biology, and arguably one of the primary founders of the field of population genetics. His work included mathematical investigations that helped provide a statistical foundation for the emerging neo-Darwinist synthesis: clarification of the notion of degrees of freedom, development of the maximum likelihood estimation concept and analysis of variance technique, and in general the working out of modern statistical principles of experimental design. In genetics his 1930 book The Genetical Theory of Natural Selection, with its ground-breaking treatment of the concepts of fitness and dominance, was a milestone work in that field. --born in East Finchley, Middlesex, England, on 17 February 1890. --dies at Adelaide, South Australia, on 29 July 1962. --Oxford Dictionary of National Biography, Vol. 19 (2004). --Biographical Memoirs of Fellows of the Royal Society of London, Vol. 9 (1963). --The Life of a Scientist (1978).